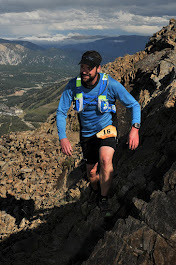 I'm excited to introduce my next featured runner, ultrarunning phenom, Michael Wardian. I've been following Michael's running career ever since I moved out to the Washington, DC area. This year, I got to know Michael on a personal level when he came with me to donate finisher medals to children at Georgetown University Hospital. Michael is probably one of the most down to earth runners you'll ever meet and his accomplishments are nothing short of amazing and inspirational. A little background on Michael....he was named the USATF's Ultra Runner of the Year in 2008, 2009, 2010, and 2011. He has competed in the last 3 US Olympic Marathon Trials. He holds many running records, like the fastest half marathon on a treadmill, the fastest indoor 50K and fastest marathon while running in a superhero costume (Spiderman). He has participated in some of the world's toughest ultramarathons, such as Badwater (a 135 mile race through Death Valley) and The Western States 100 and has won so many marathon and ultramarathon events, I can't even keep track! Doug Cassaro (DC): When did you start running and why? 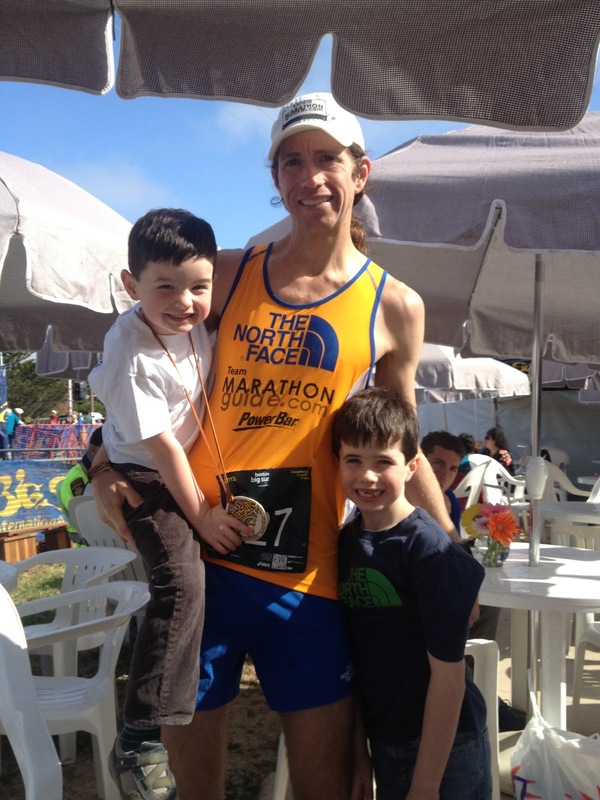 Michael Wardian (MW): I started running to stay in shape after I finished playing Division I lacrosse at Michigan State University, that was in 1995 and I just loved being in motion and working out and wanted to keep fit. DC: What are your current running goals? MW: My current running goals are to keep improving and stay healthy while pushing what is possible each and everyday. DC: What was your most memorable race? MW: My most memorable race was probably my first Boston Marathon in 1997, it was the reason that I started training (I think that is different than just running as it is more focused). I figured I would just run Boston once and that would be it but I got hooked and haven't looked back since. DC: What is your weirdest/funniest running moment? MW: I think one of the weirdest/funniest running moments was during Marathon Des Sables, a 150 mile stage race in the Sahara desert. I was having stomach issues (running to the bathroom every 5 mins) and I had taken something to stop it from happening. The race director is discussing the route in acute details for 25 mins and I am just thinking I need to start running because this medicine only last 4 hours and the stage is going to be that long and if we don't start now I am never going to make it. I finished before 4 hours and it was not an issue, but I remember just wishing as hard as I could that he would let the stage begin. Another fun one was while attempting to set the Guinness World Record pushing a pram (stroller). About 11 miles into the event my brother calls my cell phone (only there for emergency) and asks how everything is going. He didn't remember I was racing and was just going to shoot the breeze and then wouldn't let me hang up. Eventually, I had to cut him off and it woke up Pierce but he was cool and didn't fuss and we got the record. DC: I tell people all the time how awesome it is to run in DC. What is your favorite part about running around our Nation's Capital? MW: I love the DC area for all kinds of activities, especially running. The only thing we are missing are serious mountains, but we have great trails, [running] routes and some of the most impressive scenery around. I have to pinch myself everyday as I can't believe how lucky I am to get the privilege of living here. My favorite part about running in DC is the ability to be in one of the biggest cities in the world and be running on trails, serious trails with rocks and ruts and water crossings and then pop out and see the Washington Monument or The White House, that is amazing to me and I never take it for granted. DC: Who is the biggest motivator in your life? MW: I am going to say first my wife, Jennifer and then our children, Pierce and Grant followed closely by my family, Mom, Dad, brother-Matt, and Sister-Mariele. They are my support system and I can't do it without them. DC: If you could only give one piece of running advice to a newbie runner, what would it be? MW: I think being consistent is the best thing I could recommend. 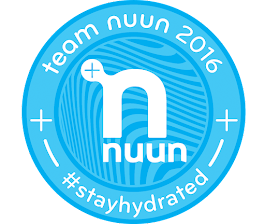 DC: To add on to my last question, any tips you'd like to share with runners new to trail running? MW: I think getting on trails is key and working on keeping aware at all times, but that is also the beauty of it. DC: What races will we be seeing you at this fall? DC: Any chance we'll see Spidey at another marathon? DC: Anything else we should know about you? MW: Definitely, I am 39 years old, with a wife, Jennifer, to boys-Pierce (7 years) and Grant (4 years), work as an International Ship Broker in Washington, DC for Potomac Maritime, LLC. I am sponsored by: MarathonGuide.com, The North Face, PowerBar, Sweetgreen, Suunto, Julbo, Petzl, The High Cloud Foundation, Injinji, Udo's Oil, and Succeed.